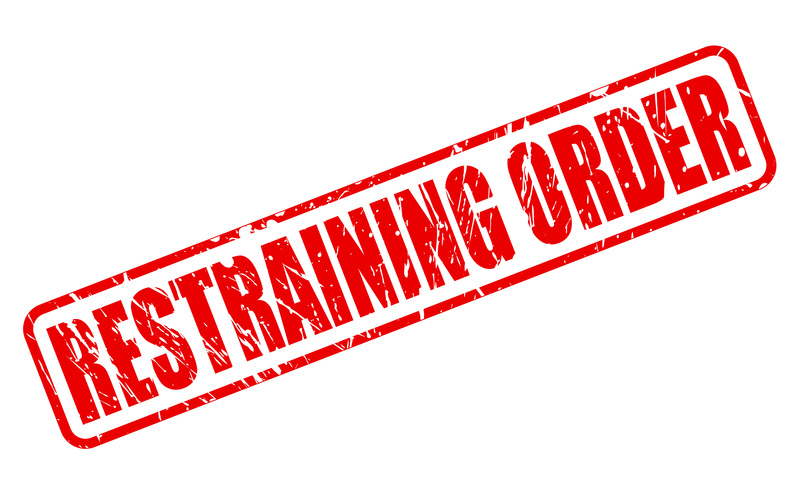 If you were served with a Temporary Restraining Order and either didn’t appear at court to contest the charges or appeared but lost after a formal hearing, then you are going to be subject to a Final Restraining Order. These Final Restraining Orders are permanent and may carry oppressive restrictions on your ability to travel freely or ability to visit your children. If you have a Restraining Order Hearing pending at the Burlington County Superior Court, it is imperative that you take these charges seriously. Failure to take the necessary precautions will have long-term consequences. A Final Restraining Order (FRO) hearing is allows for both parties to present their cases before a Superior Court Judge. Court rules and procedures apply at these hearings and this can be difficult for someone who lacks experience. If you are facing a formal hearing or need to apply for a removal of a restraining order, call the attorneys at Proetta & Oliver. Our firm can be reached 24/7 by calling 609-850-8284. Take action to avoid being forced to surrender your firearms, restricted from seeing their children, forced to pay child/spousal support or kicked out of your home. What Happens if I Don’t Go to Court for My Restraining Order Hearing? The Judge must hear testimony from the victim that supports the underlying allegations of domestic violence and the victims fear for their safety. If you choose not to appear at the hearing, then the judge will allow the victim to testify without any cross-examination. Additionally you will not be able to present your own testimony or evidence on your behalf. If that happens, you can be almost sure that the judge will issue a Final Restraining Order. However, if you were never served with the notice of the temporary restraining order, you may appeal the judge’s order. When Does the Final Restraining Order End? Never. In Burlington County, NJ, FROs do not expire. Additionally, the Full Faith and Credit provisions of the Federal Violence Against Women Act requires all states, US territories and commonwealths to enforce restraining orders. This means that a restraining order in New York or Pennsylvania will follow you into New Jersey just like a New Jersey Restraining Order will follow you out-of-state. Will I Be Able to Keep a Weapon If I Have Been Convicted of a Domestic Violence Crime? No. In New Jersey, if you have been convicted of a disorderly persons offense involving domestic, regardless of whether the charges and conviction occurred in New Jersey or a sister state, you will not be able to purchase, possess, own or control a firearm. These individuals are known as “Certain Persons” under N.J.S.A. 2C:39-7 and are disbarred from legally possessing weapons. If you are found in violation of this statute, you will face a third degree charge. The offense is applicable regardless of whether the underlying domestic violence offense involved a weapon. How Do I Fight A Restraining Order in New Jersey? A need to protect the victim from a future act of domestic violence. What is an Act of Domestic Violence? For immediate assistance with your restraining order hearing, please contact the Burlington County Restraining Order Attorneys at Proetta & Oliver. Our team of trial attorneys can be reached 24/7 by calling 609-850-8284. Firm Partner and former New Jersey Deputy Attorney General, William C. Fay, IV, will gladly discuss the strengths and weakness of your case and represent you at your hearing. Call today for your complimentary initial consultation on your TRO.